In January 2015, it was the premiere of ‘En storslått hyllest til Elvis’. 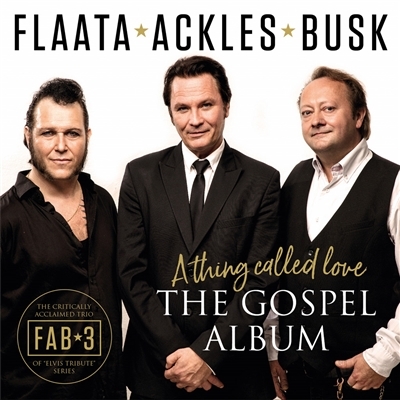 Flaata, Ackles and Busk presented a concert to commemorate Elvis on the occasion of the 80th anniversary of his birth, and the idea was that they would do a tour of 12-15 concerts over a three-month period. However, the reception was so exceptional that they have now done more than 110 concerts and are about to release their third FAB 3 album. For the year 2018 they wanted to take on another side of Elvis’s career; gospel. Already four years after his breakthrough, Elvis released his first gospel album. Eventually, there were many recordings and several songs from these records are found on FAB 3’s new album; A thing called love, The Gospel Album.